I was recently asked to review a copy of the book "Between Heaven and Mirth" by James Martin. I'm always happy to review books and if you have a copy for me to review and promote, please contact me. 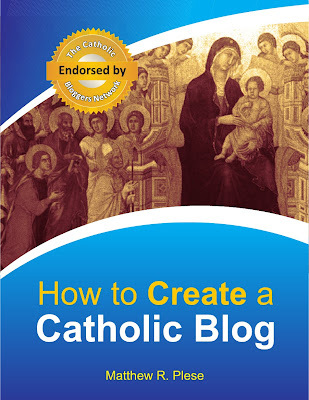 I am particularly interested in reviewing books on Traditional Catholicism and the Liturgy. For this particular book, I quickly noticed that the book suffers several serious problems and as I worked my way through the book, the problems did not cease. Simply put, after reading this text, I am forced to call into account not only the theology of "Fr." Martin but his ability to serve as a Catholic priest. As I opened my copy the first thing that I noticed was a picture of Martin Luther on the cover. That's right, on the cover alongside Blessed Mother Teresa and other saints is the image of the well-known heretic whose false teachings are still causing untold numbers of souls to reject the truth and damn themselves. But, I'm not here to judge the book by its cover, which may be the work of someone other than the author. Let's start by looking at the introduction. Close to the very opening of the book, Martin refers to the traditional practice in religious communities of public confession of sins by saying, "At the time young Jesuits in training were required to publicly confess their 'faults' to the men in their community..." (1). Martin put "faults" in quotation marks as if he does not truly believe them to be faults - to be sins that infinitely displease the greatness and mercy of God! He later says in the introduction that in the course of the book he will "draw on the wisdom of the Jesuit, Buddhist, and Islamic traditions..." What wisdom? There is no salvation outside of the Church. There is no wisdom in these false religions. You disobey the 1st Commandment and grievously sin by supporting or seemingly to condone in any way this false, pagan worship. These false worshipers must be converted to the One True Faith that alone saves. So after this introduction, I was already on guard with this book. I'll share my thoughts on the first chapter as well. First on a logical note, when Martin says that humor is "an essential but neglected requirement of spirituality" (15), I was disappointed that he never supported his claim that it is "essential." He gives too many examples of its neglect but fails to adequately show how it is "essential." With references to Freud and numerous non-Catholic heretical worshipers, I can't seem to understand that this book was written by a man claiming to be a Catholic priest. Are you a priest or a psychologist, Martin? And, no they are not inclusive. The only good part of the chapter was its incorporation of St. Thomas Aquinas' treatment of joy. And, I might say, that is its only authentic Catholic part. Chapter two, however, only made matters worse. Martin begins the chapter by saying, "Let's take the New Testament as an example. And let's look first at the protagonist of the New Testament, Jesus of Nazareth" (31). Is that how you refer to God Incarnate, Martin! You call our Blessed Redeemer a "protagonist" as if he was a fictional character in a novel! This is blasphemous. Later, as he writes of the evangelists, he describes them as if they were writing a novel and not divinely inspired. He says, "The evangelists wanted to portray Jesus as an appealing figure..." (31). Blasphemy! The evangelists wrote that which God Himself desired to be written - they did not "portray" our Lord as one portrays a character! And then he references Professor Levine of Vanderbuilt whose "book looks at the Jewish background of Jesus and the ways that the church has often missunderstood that particular aspect of his life." Martin, learn to capitalize "he" and "him" when referring to the Divine Lord. And, how dare you, a alledged priest of God, claim that the Church - which is perfect and holy - has erred in reference to our Lord's Jewish roots. Go join the Jews, Martin. You are not part of the Church's teachings so drop the title from your name and stop pretending. What looked like a good topic for a book quickly turned sour. I'll leave my analysis at this but know that such poor theology does not stop in chapter two. Unfortunately, I can not and do not recommend this book. Inside the basilica of Saint Francis: a native African medicine man and pagan "priest" sang a hymn to the deity of Olokun, today October 27, 2011, during the Third Assisi Interreligious Conference of Prayer and Pilgrimage for World Peace. Please join me in making reparation for this offense against our Lord Jesus Christ and His holy house that was consecrated to His worship alone. For more on the blasphemy in Assisi, see my post on the Scandal of Assisi III. Few Catholics remember how utterly unthinkable such an event would have been to any Pope before Vatican II. It is easy to forget what the Church was like before the Council and the descent of the Great Nebulosity that has rendered obscure so much of what was once clear—necessitating something called the Hermeneutic of Continuity, which itself seems part of the Great Nebulosity. Memory returns, however, upon reading landmark encyclicals by pre-conciliar Popes. And this, mind you, is how the Pope characterized proposed gatherings limited to professing Christians of various denominations. Had Pius XI foreseen—in some vision or nightmare—that his proximate successors would routinely preside over, not only “motley assemblies” of Protestants, but pan-religious motley assemblies of everyone from Animists to Zoroastrians, he might well have required immediate medical attention to prevent his heart from stopping. The Scandal of Assisi III: "The Church is shaken to its very foundations"
This Thursday the Vatican will again participate in the infamous and sacrilegeous gathering in Assisi. This is the third time in the past 25 years when the Holy Father has fallen to pressures from Modernists to pray on the same level as pagans, infidels, and those who deny and persecute our Lord and Christians. Because it offends God in His first commandment. Because it denies the unity of the Church and Her mission of saving souls. Because it can only lead the faithful into confusion and indifferentism. Because it deceives the unfortunate unfaithful and members of other religions. His Excellency Archbishop Lefebvre later said, "He who now sits upon the Throne of Peter mocks publicly the first article of the Creed and the first Commandment of the Decalogue. The scandal given to Catholic souls cannot be measured. The Church is shaken to its very foundations." This Thursday Assisi III commences and with it all SSPX priorities throughout the world will be saying a Mass of reparation on that day. All matters will be Votive Masses for the Propagation of the Faith: Missa 'Deus Misereatur.' Many Saturday Masses at SSPX chapels will also be said with the intention of making reparation to God for such a sacrilege. As I have posted about many times, there is no salvation outside of the Church. There is only one name under Heaven by which men can be saved and that is the name of our Lord Jesus Christ (cf. Acts 4:12). 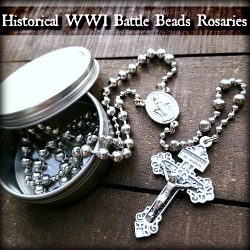 So, please join me in saying rosaries in reparation for this most diabolical action initiated by the modernists. Pray that our Holy Father will not pray with the pagans and infidels but preach and seek their salvation. There is an essential Catholic message in this sermon. And it needs to be heard. It is a highly controversial claim that the Jews should be treated as if they were responsible for the death of our Divine Lord. But are objections to this notion mere political in nature with an origin in religious indifferentism or must a Catholic honestly admit that no one race is to be held responsible? The first overarching issue is to determine what we mean by "responsible." How can one group say that the Jews are responsible for Christ's death and the other group says that the Jews are not responsible. The difference is precisely a lack of continuity in terminology. What we must first consider is the philosophical notion that has been part of Catholic theology for over 1,000 years - the four causes. Aristotle was the first philosopher to identify all four kinds of causes which Aquinas would later incorporate in his Summa. Each cause is a different kind of answer to the question "why? So, assume I am holding up a picture of the statue of David for you to admire. I ask the question, "Why is this a statue?" To answer this question, Aristotle can give four different answers: (1) This is a statue because it is made of marble; (2) because it is in the shape of David; (3) because Michelangelo sculpted it; (4) because Michelangelo wanted to depict the figure of David in marble (because he needed the money, perhaps). An account of each kind of cause is important for a full and accurate account of whatever a person is explaining. Now let us return to the question, "Are the Jews responsible for the death of our Lord?" Let's rephrase that to "Are the Jews a cause of the death of Christ?" Let's first consider the material cause of Christ's death. The material cause of a thing is the matter - physical matter - causing it to be. For our Divine Lord's death, it was the nails and the Cross which caused His ultimate Death. Yet, what of the final cause of Christ's death? The final cause is the end (i.e. telos) for which something is done. We know from Sacred Scripture that our Divine Redeemer willing gave up His life on the Cross for the salvation of mankind. In this sense, many people will rightfully say that all sinners - thus all mankind aside from the Redeemer Himself and the Blessed Virgin Mary - are the cause of our Lord's death. After all, since our Lord died in order to save us, we are the cause of Christ's death. This is where many people who say that the Jews are not to be held responsible stop in their argument. But, let us go further and consider the efficient cause of Christ's death. The efficient cause of a thing is “the source of the primary principle of change or stability,” e.g., the man who gives advice, the father (of the child) (source). 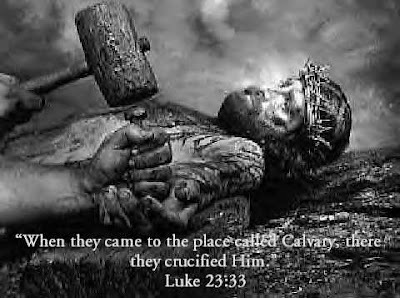 For our Divine Lord, it was the cruelty and infidelity of the Jewish people that forced Pilate to condemn Him to die. It was their hardness of heart that brought about our Lord's death and they were the agents who beat our Lord, drove the nails into His hands, and ultimately crucified Him. Thus, it is correct to say that the Jews are responsible for the death of Christ - if one means that they are the efficient cause of Christ's death. Let us be specific in our discussions - especially about matters involving philosophy since precise language is so necessary to understand a situation completely. And let us not shy away from the truth - while not politically "correct" - that the Jews in one sense are to be held responsible. Firstly, the killing of Jesus was truly “deicide”, i.e. the killing of God, because Jesus was the one of the three divine Persons who in addition to his divine nature had taken a human nature. What was killed on the Cross ? Only the human nature. But who was killed on the Cross in his human nature ? None other than the second divine Person, i.e. God. So God was killed, deicide was committed. Secondly, Jesus died on the Cross to save all of us sinful human beings from our sins, and in this sense all men were and are the purpose of his death. But only the Jews (leaders and people) were the prime agents of the deicide because it is obvious from the Gospels that the Gentile most involved, Pontius Pilate, would never have condemned Jesus to death had not the Jewish leaders roused the Jewish people to clamour for his crucifixion (Mt. XXVII, 20). Certainly the learned leaders were more guilty than the unlearned people, says St Thomas Aquinas (Summa III, 47, 5), but they all cried together for Jesus’ blood to come down upon them and their children (Mt. XXVII, 25). Thirdly, at least Pope Leo XIII considered there to be a real solidarity between the Jews clamouring then for Jesus to be killed and the collectivity of Jews of modern times. Did he not in his Act of Consecration of the Human Race to the Sacred Heart of Jesus have the entire Church, from the end of the 19th century onwards, pray to God that he turn his “eyes of mercy towards the children of that race, once God’s chosen people: of old they called down upon themselves the Blood of the Saviour; may it now descend upon them a laver (i.e. washing) of redemption and life” ? But Leo XIII is by no means alone in observing such a continuity amongst Jews down the centuries. Do they themselves not lay claim today to the land of Palestine on the grounds that it is theirs by right from the God of the Old Testament ? Has there ever been a race-people-nation on the face of the earth more proudly self-identifying as identical down the ages ? Originally raised by God to cradle the Messiah, alas, when he came they refused, collectively, to recognize him. Collectively also, meaning there are always noble exceptions, they have remained faithful to that rejection, so that they changed their religion from that of Abraham and Moses and the Old Testament to that of Anas, Caiphas and the Talmud. Tragically, their very messianic training by God drives them to go on rejecting the one whom they hold to be a false messiah. Until they convert at the end of the world, as the Church has always taught they will do (cf. Rom. XI, 26-27), they seem bound to choose to go on acting, collectively, as enemies of the true Messiah. 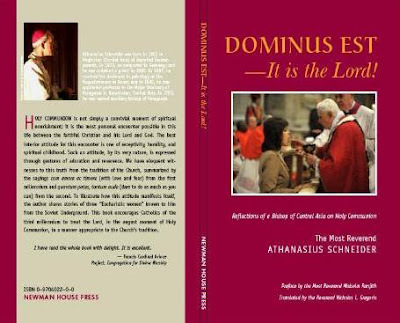 Over the past few days I have been very pleased to read and review His Excellency Bishop Athanasius Schneider's "Dominus Est - It is the Lord." His Excellency writes on the controversial yet fundamentally urgent issue of Communion-in-the-hand and its departure from the Catholic Tradition. As I have written previously in my post on Restoring Eucharistic Reverence, Communion-in-the-hand, so-called "Eucharistic minister," and the elimination of altar rails must end. As Fr. Peter M. J. Stravinskas writes in the preface, "Indeed, the centuries-old practice of priests placing the Sacred Host directly onto the tongue of recipients came precisely from the Protestant Reformers, who were intent on calling into question both the ministerial priesthood and the doctrine of transubstantiation." Simply put, Communion-on-the-hand is a protestant, anti-Catholic notion that must be eliminated from the celebration of the Holy Sacrifice of the Mass. 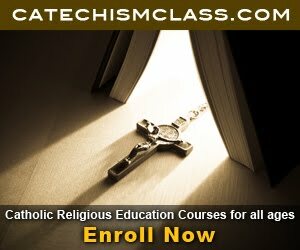 In the text, the Secretary for Divine Worship and the Discipline of the Sacraments, Malcolm Ranjith, reminds us, "At the same time, speaking of Communion-in-the-hand it is necessary for all to recognize that the practice was as an abuse..." That's right, Communion-in-the-hand entered the Liturgy as an abuse - it was illicit and in the ensuing years, it has caused countless numbers of atrocities from the Faithful losing Faith in the Real Presence to satanists obtaining our Lord's True Body and Blood for their diabolical rituals. This short read is a fantastic testament of love for our Lord. As our Divine Redeemer has said, the greatest of all Commandments is to first love the Lord God with all our hearts, minds, and souls. If we do not humble ourselves in adoration before our Lord and if we dare to stand before Him and receive Him as mere earthly bread, we incur the wrath of Almighty God. This book is highly recommended. Distribute it to your Novus Ordo friends to help them see (especially if they were born after Vatican II) that the modern notion of "living a Catholic life" is not at all what a Catholic life is truly about. And what is living a Catholic life really about? It is about placing our Lord first in our lives and I, daresay, that is not possible for those who continue to receive Communion-in-the-hand. My post on the Neocatechumenal Movement has been updated to reflect the following direction given by Fr. Zoffolio. Below is a copy of a very good piece by the late Fr Enrico Zoffoli which Catholics should readily read to understand the errors undermining this very problematic movement.